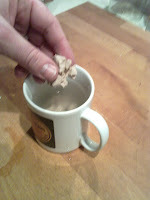 Dissolve the yeast in 1 cup warm water (not hot! - that would kill the yeast bacteria). 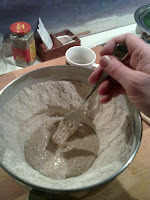 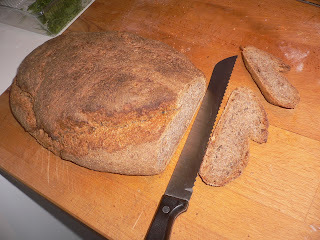 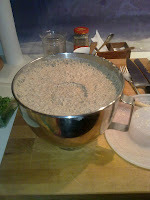 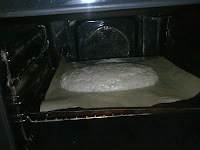 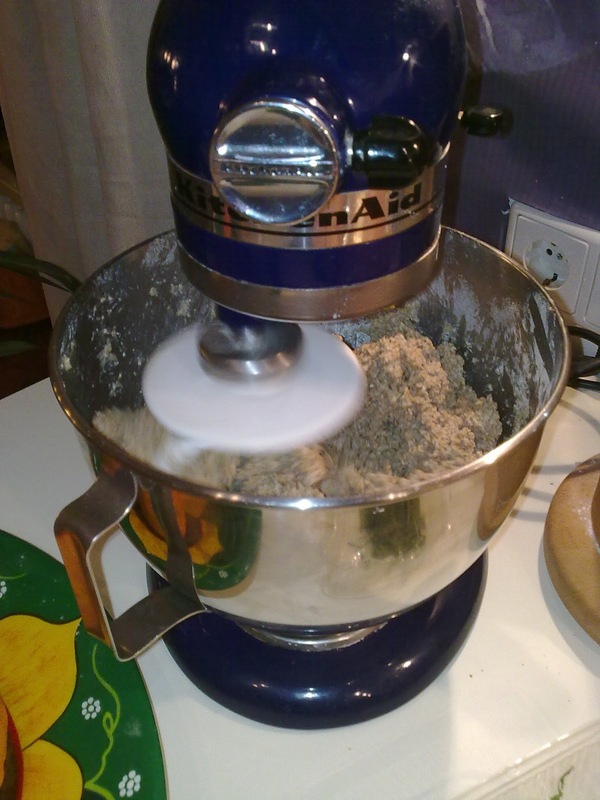 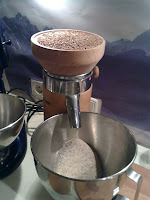 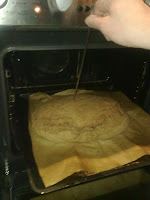 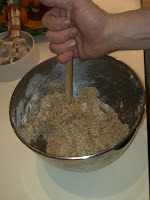 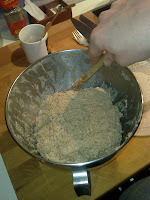 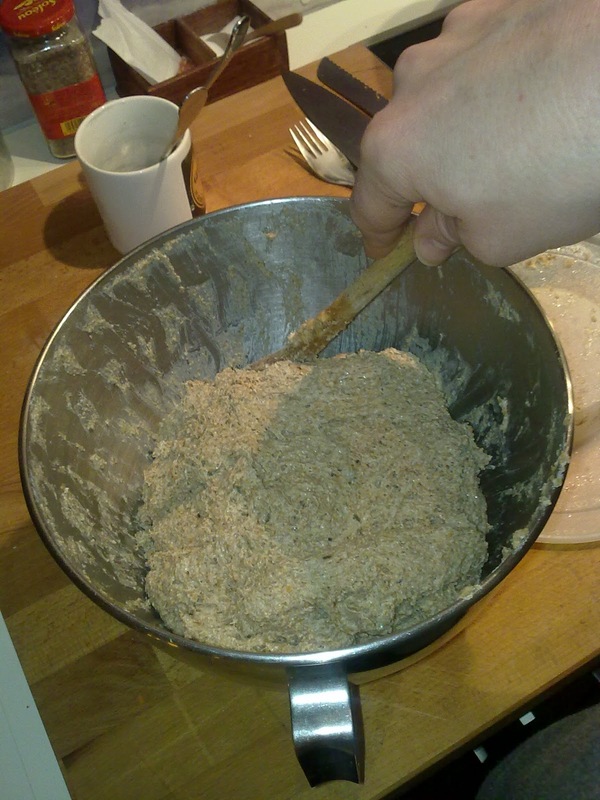 Pour the yeast-water into the crater and mix with some of the flour to create a viscid starter dough. 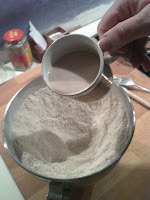 sprinkle some of the remaining flower over it, cover and let it rest in a quiet war place for about 15min. 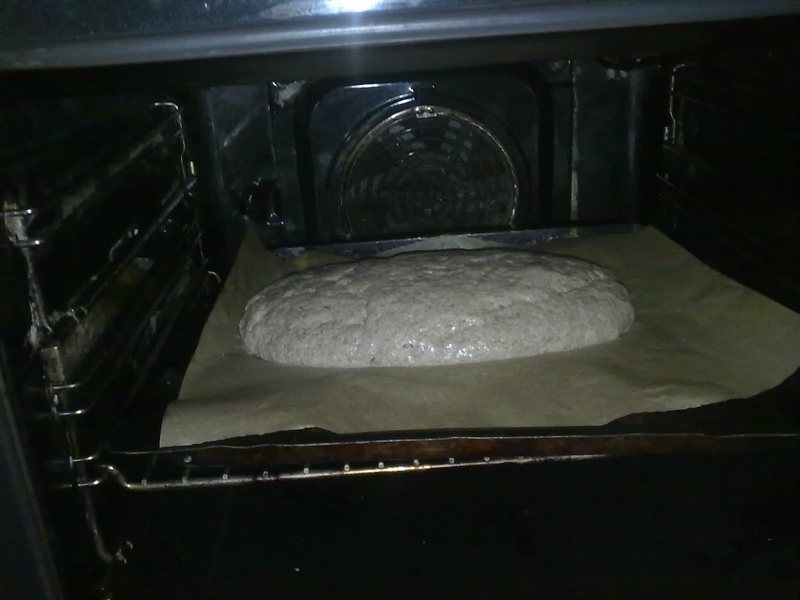 Heat the fan oven to 200°C (= 400°F).